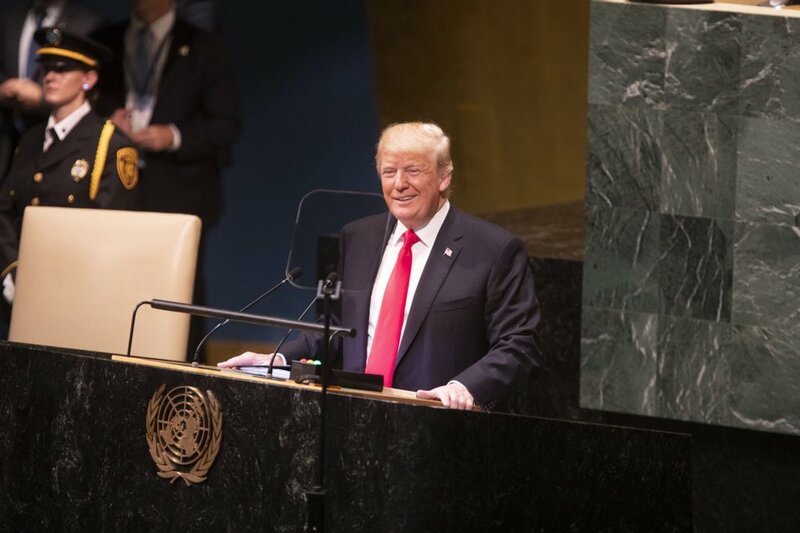 President Donald J. Trump: “Thank you very much. I am honored to have Prime Minister Theresa May here for our first official visit from a foreign leader. This is our first visit, so — great honor. The special relationship between our two countries has been one of the great forces in history for justice and for peace. And, by the way, my mother was born in Scotland — Stornoway — which is serious Scotland. Today, the United States renews our deep bond with Britain — military, financial, cultural, and political. We have one of the great bonds. We pledge our lasting support to this most special relationship. Together, America and the United Kingdom are a beacon for prosperity and the rule of law. That is why the United States respects the sovereignty of the British people and their right of self-determination. A free and independent Britain is a blessing to the world, and our relationship has never been stronger. Both America and Britain understand that governments must be responsive to everyday working people, that governments must represent their own citizens. Madam Prime Minister, we look forward to working closely with you as we strengthen our mutual ties in commerce, business and foreign affairs. Great days lie ahead for our two peoples and our two countries. Prime Minister Theresa May: “Well, thank you very much, Mr. President. And can I start by saying that I’m so pleased that I’ve been able to be here today. And thank you for inviting me so soon after your inauguration. And I’m delighted to be able to congratulate you on what was a stunning election victory. And, as you say, the invitation is an indication of the strength and importance of the special relationship that exists between our two countries — a relationship based on the bonds of history, of family, kinship and common interest. And in a further sign of the importance of that relationship, I have today been able to convey Her Majesty The Queen’s hope that President Trump and the First Lady would pay a state visit to the United Kingdom later this year. And I’m delighted that the President has accepted that invitation. Now, today, we’re discussing a number of topics, and there’s much on which we agree. The President has mentioned foreign policy. We’re discussing how we can work even more closely together in order to take on and defeat Daesh and the ideology of Islamist extremism wherever it’s found. Our two nations are already leading efforts to face up to this challenge, and we’re making progress with Daesh losing territory and fighters, but we need to redouble our efforts. And today, we are discussing how we can do this by deepening intelligence and security cooperation and, critically, by stepping up our efforts to counter Daesh in cyberspace. Because we know we will not eradicate this threat until we defeat the idea — the ideology that lies behind it. Our talks will be continuing later. I’m sure we’ll discuss other topics — Syria and Russia. On defense and security cooperation, we are united in our recognition of NATO as the bulwark of our collective defense. And today, we’ve reaffirmed our unshakeable commitment to this alliance. Mr. President, I think you said — you confirmed that you’re 100 percent behind NATO. But we’re also discussing the importance of NATO continuing to ensure it is as equipped to fight terrorism and cyber warfare as it is to fight more conventional forms of war. And I’ve agreed to continue my efforts to encourage my fellow European leaders to deliver on their commitments to spend 2 percent of their GDP on defense so that the burden is more fairly shared. It’s only by investing properly in our defense that we can ensure we’re properly equipped to face our shared challenges together. And finally, the President and I have mentioned future economic cooperation and trade. Trade between our two countries is already worth over $150 billion pounds a year. The U.S. is the single-biggest source of inward investment to the UK, and together we’ve around $1 trillion invested in each other’s economies. And the UK-U.S. defense relationship is the broadest, deepest, and most advanced of any two countries sharing military hardware and expertise. And I think the President and I are ambitious to build on this relationship in order to grow our respective economies, provide the high-skilled, high-paid jobs of the future for working people across America and across the UK. And so we are discussing how we can establish a trade negotiation agreement, take forward immediate, high-level talks, lay the groundwork for a UK-U.S. trade agreement, and identify the practical steps we can take now in order to enable companies in both countries to trade and do business with one another more easily. And I’m convinced that a trade deal between the U.S. and the UK is in the national interest of both countries and will cement the crucial relationship that exists between us, particularly as the UK leaves the European Union and reaches out to the world. PRESIDENT OBAMA: Good afternoon. Let me begin by thanking my great friend, Prime Minister Cameron — and his entire team — for hosting this NATO Summit and making it such a success. And I want to thank the people of Newport and Cardiff and the people of Wales for welcoming me and my delegation so warmly. It’s a great honor to be the first sitting U.S. President to visit Wales. We’ve met at a time of transition and a time of testing. After more than a decade, NATO’s combat mission in Afghanistan is coming to an end. Russia’s aggression against Ukraine threatens our vision of a Europe that is whole, free and at peace. In the Middle East, the terrorist threat from ISIL poses a growing danger. Here at this summit, our Alliance has summoned the will, the resources and the capabilities to meet all of these challenges. First and foremost, we have reaffirmed the central mission of the Alliance. Article 5 enshrines our solemn duty to each other — “an armed attack against one…shall be considered an attack against them all.” This is a binding, treaty obligation. It is non-negotiable. And here in Wales, we’ve left absolutely no doubt — we will defend every Ally. Second, we agreed to be resolute in reassuring our Allies in Eastern Europe. Increased NATO air patrols over the Baltics will continue. Rotations of additional forces throughout Eastern Europe for training and exercises will continue. Naval patrols in the Black Sea will continue. And all 28 NATO nations agreed to contribute to all of these measures — for as long as necessary. Third, to ensure that NATO remains prepared for any contingency, we agreed to a new Readiness Action Plan. The Alliance will update its defense planning. We will create a new highly ready Rapid Response Force that can be deployed on very short notice. We’ll increase NATO’s presence in Central and Eastern Europe with additional equipment, training, exercises and troop rotations. And the $1 billion initiative that I announced in Warsaw will be a strong and ongoing U.S. contribution to this plan. Fourth, all 28 NATO nations have pledged to increase their investments in defense and to move toward investing 2 percent of their GDP in our collective security. These resources will help NATO invest in critical capabilities, including intelligence, surveillance, reconnaissance and missile defense. And this commitment makes clear that NATO will not be complacent. Our Alliance will reverse the decline in defense spending and rise to meet the challenges that we face in the 21st century. Fifth, our Alliance is fully united in support of Ukraine’s sovereignty, independence and territorial integrity and its right to defend itself. To back up this commitment, all 28 NATO Allies will now provide security assistance to Ukraine. This includes non-lethal support to the Ukrainian military — like body armor, fuel and medical care for wounded Ukrainian troops — as well as assistance to help modernize Ukrainian forces, including logistics and command and control. Here in Wales, we also sent a strong message to Russia that actions have consequences. Today, the United States and Europe are finalizing measures to deepen and broaden our sanctions across Russia’s financial, energy and defense sectors. At the same time, we strongly support President Poroshenko’s efforts to pursue a peaceful resolution to the conflict in his country. The cease-fire announced today can advance that goal, but only if there is follow-through on the ground. Pro-Russian separatists must keep their commitments and Russia must stop its violations of Ukraine’s sovereignty and territorial integrity. Beyond Europe, we pay tribute to all those from our ISAF mission, including more than 2,200 Americans, who have given their lives for our security in Afghanistan. NATO’s combat mission ends in three months, and we are prepared to transition to a new mission focused on training, advising and assisting Afghan security forces. Both presidential candidates have pledged to sign the Bilateral Security Agreement that would be the foundation of our continued cooperation. But, as we all know, the outcome of the recent election must be resolved. And so we continue to urge the two presidential candidates to make the compromises that are necessary so Afghans can move forward together and form a sovereign, united and democratic nation. Finally, we reaffirmed that the door to NATO membership remains open to nations that can meet our high standards. We agreed to expand the partnership that makes NATO the hub of global security. We’re launching a new effort with our closest partners — including many that have served with us in Afghanistan — to make sure our forces continue to operate together. And we’ll create a new initiative to help countries build their defense capabilities — starting with Georgia, Moldova, Jordan and Libya. I also leave here confident that NATO Allies and partners are prepared to join in a broad, international effort to combat the threat posed by ISIL. Already, Allies have joined us in Iraq, where we have stopped ISIL’s advances; we’ve equipped our Iraqi partners, and helped them go on offense. NATO has agreed to play a role in providing security and humanitarian assistance to those who are on the front lines. Key NATO Allies stand ready to confront this terrorist threat through military, intelligence and law enforcement, as well as diplomatic efforts. And Secretary Kerry will now travel to the region to continue building the broad-based coalition that will enable us to degrade and ultimately destroy ISIL. So, taken together, I think the progress we’ve achieved in Wales makes it clear that our Alliance will continue to do whatever is necessary to ensure our collective defense and to protect our citizens. So with that, let me take a few questions. I’ll start with Julie Pace of the Associated Press. Q Thank you, Mr. President. I wanted to go back to the situation in Ukraine. If this cease-fire does take effect and appears to be holding, would you and your European counterparts back away from these sanctions that you say you’ve prepared? Or do you feel that it’s important to levy these sanctions regardless of this cease-fire agreement? And if I could go back to the Rapid Response Force, can you say specifically what U.S. contributions will be in terms of troop numbers and equipment? Is it beyond the agreement that you announced — or the proposal you announced in Warsaw? 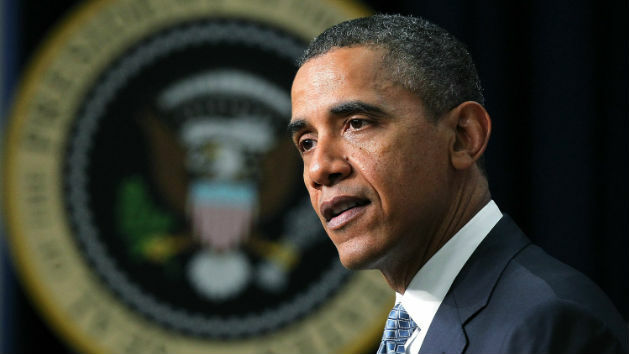 PRESIDENT OBAMA: With respect to the cease-fire agreement, obviously we are hopeful, but based on past experience also skeptical that, in fact, the separatists will follow through and the Russians will stop violating Ukraine’s sovereignty and territorial integrity. So it has to be tested. And I know that the Europeans are discussing at this point the final shape of their sanctions measures. It’s my view that if you look at President Poroshenko’s plan, it is going to take some time to implement. And as a consequence, for us to move forward based on what is currently happening on the ground with sanctions — while acknowledging that if, in fact, the elements of the plan that has been signed are implemented — then those sanctions could be lifted is a more likely way for us to ensure that there’s follow-through. But that’s something that obviously we’ll consult closely with our European partners to determine. I do want to point out, though, that the only reason that we’re seeing this cease-fire at this moment is because of both the sanctions that have already been applied and the threat of further sanctions, which are having a real impact on the Russian economy and have isolated Russia in a way that we have not seen in a very long time. The path for Russia to rejoin the community of nations that respects international law is still there, and we encourage President Putin to take it. But the unity and the firmness that we’ve seen in the Transatlantic Alliance in supporting Ukraine and applying sanctions has been I think a testimony to how seriously people take the basic principle that big countries can just stomp on little countries, or force them to change their policies and give up their sovereignty. So I’m very pleased with the kind of work that’s been done throughout this crisis in Ukraine, and I think U.S. leadership has been critical throughout that process. With respect to the Rapid Response Force and the Readiness Action Plan that we’ve put forward, in Warsaw I announced $1 billion in our initiative. A sizeable portion of that will be devoted to implementing various aspects of this Readiness Action Plan. We’ve already increased obviously rotations of personnel in the Baltic states, for example. We have the air policing. We have the activities that are taking place in the Baltic and the Black Sea. But this allows us to supplement it. It allows us to coordinate it and integrate it further with additional contributions from other partners. And what it signifies is NATO’s recognition that, in light of recent Russian actions as well as rhetoric, we want to make it crystal clear: We mean what we say when we’re talking about our Article 5 commitments. And an increased presence serves as the most effective deterrent to any additional Russian aggression that we might see. Q Thank you, Mr. President. What are your specific expectations for what regional actors like Saudi Arabia, Yemen and Jordan can legitimately provide to a coalition against Islamic State? Is there a role there for Iran, as well? As you know, Secretary Kerry today said that he expects the Allied countries to coalesce around a specific plan by the end of September. Do you agree with the timeline that he set out? And what concrete commitments, if any, are you leaving this summit with from the other nations that were here? PRESIDENT OBAMA: Let me start with a general point. There was unanimity over the last two days that ISIL poses a significant threat to NATO members. And there was a recognition that we have to take action. I did not get any resistance or pushback to the basic notion that we have a critical role to play in rolling back this savage organization that is causing so much chaos in the region and is harming so many people, and poses a long-term threat to the safety and security of NATO members. So there’s great conviction that we have to act as part of the international community to degrade and ultimately destroy ISIL. And that was extremely encouraging. Beyond that, what we have already seen is significant support from a variety of member states for specific actions that we’ve been taking in Iraq. Keep in mind, we’ve taken already 100 strikes in Iraq that have had a significant impact on degrading their capabilities, and making sure that we’re protecting U.S. citizens, critical infrastructure, providing the space for the Iraqi government to form. Our hope is that the Iraqi government is actually formed and finalized next week. That, then, allows us to work with them on a broader strategy. And some of the assistance has been in the form of airlift or humanitarian assistance. Much of it has been providing additional arms to the Peshmerga and the Iraqi Security Forces. There’s been logistical support, intelligence and surveillance and reconnaissance support. And so a variety of folks with different capabilities have already made a contribution. I’m confident that we’re going to be able to build on that strong foundation and the clear commitment, and have the kind of coalition that will be required for the sustained effort we need to push ISIL back. Now, John Kerry is going to be traveling to the region to have further consultations with the regional actors and the regional players. And I think it is absolutely critical that we have Arab states, and specifically Sunni majority states, that are rejecting the kind of extremist nihilism that we’re seeing out of ISIL that say that is not what Islam is about, and are prepared to join us actively in the fight. And my expectation is, is that we will see friends and allies and partners of ours in the region prepared to take action, as well, as part of a coalition. One of our tasks, though, is also going to be to build capability. What we’ve learned in Iraq is, yes, ISIL has significant capabilities, and they combine terrorist tactics with traditional military tactics to significant effect, but part of the problem also is, is that we haven’t seen as effective a fighting force on the part of the Iraqi Security Forces as we need. And we’re going to have to focus on the capable units that are already there, bolster them, bolster the work that the Peshmerga has done. We can support them from the air, but ultimately we’re going to need a strong ground game, and we’re also going to need the Sunni tribes in many of these areas to recognize that their future is not with the kind of fanaticism that ISIL represents so that they start taking the fight to ISIL, as well. And that’s going to require the sort of regional partnerships that we’re talking about. In terms of timetable, we are working deliberately. If you look at what we’ve done over the last several months, we’ve taken this in stages. The first stage is to make sure that we were encouraging Iraqi government formation. Second stage was making sure that, building on the intelligence assessments that we have done, that we were in a position to conduct limited airstrikes to protect our personnel, critical infrastructure and engage in humanitarian activities. The third phase will allow us to take the fight to ISIL, broaden the effort. And our goal is to act with urgency, but also to make sure that we’re doing it right — that we have the right targets; that there’s support on the ground if we take an airstrike; that we have a strong political coalition, diplomatic effort that is matching it; a strong strategic communications effort so that we are discouraging people from thinking somehow that ISIL represents a state, much less a caliphate. So all those things are going to have to be combined. And as I said, it’s not going to happen overnight, but we are steadily moving in the right direction. And we are going to achieve our goal. We are going to degrade and ultimately defeat ISIL, the same way that we have gone after al Qaeda, and the same way that we have gone after the al Qaeda affiliate in Somalia where we released today the fact that we had killed the leader of al-Shabaab in Somalia, and have consistently worked to degrade their operations. We have been very systematic and methodical in going after these kinds of organizations that may threaten U.S. personnel and the homeland. And that deliberation allows us to do it right. But have no doubt, we will continue and I will continue to do what is necessary to protect the American people. And ISIL poses a real threat, and I’m encouraged by the fact that our friends and allies recognize that same threat. Q Thank you, Mr. President. I want to follow up on what you were saying about ISIL and ask, if you think that the objective here is to destroy and degrade them, are those the same thing in your mind? Is the goal to ultimately — Secretary Kerry said that there’s no containing them, so is the goal to ultimately annihilate them? And also, you talked about the importance of expertise on the ground and building up capacity on the ground. Do you think since airstrikes are not going to do it here, if ultimately action is needed in Syria, can you realistically expect the Free Syrian Army to do what’s needed on the ground to really destroy, not just push back, ISIL? 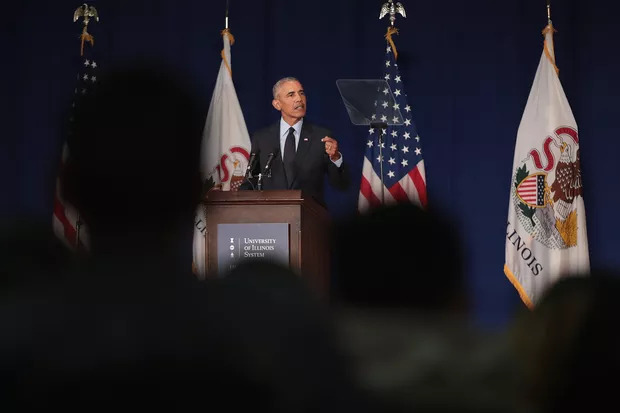 PRESIDENT OBAMA: You can’t contain an organization that is running roughshod through that much territory, causing that much havoc, displacing that many people, killing that many innocents, enslaving that many women. The goal has to be to dismantle them. And if you look at what happened with al Qaeda in the FATA, where their primary base was, you initially push them back. You systematically degrade their capabilities. You narrow their scope of action. You slowly shrink the space, the territory that they may control. You take out their leadership. And over time, they are not able to conduct the same kinds of terrorist attacks as they once could. As I said I think in my last press conference, given the nature of these organizations, are there potentially remnants of an organization that are still running around and hiding and still potentially plotting? Absolutely. And we will continue to hunt them down the same way we’re doing with remnants of al Qaeda in the FATA or elements of al-Shabaab in Somalia, or terrorists who operate anywhere around the world. But what we can accomplish is to dismantle this network, this force that has claimed to control this much territory, so that they can’t do us harm. And that’s going to be our objective. And as I said before, I’m pleased to see that there’s unanimity among our friends and allies that that is a worthy goal and they are prepared to work with us in accomplishing that goal. With respect to the situation on the ground in Syria, we will not be placing U.S. ground troops to try to control the areas that are part of the conflict inside of Syria. I don’t think that’s necessary for us to accomplish our goal. We are going to have to find effective partners on the ground to push back against ISIL. And the moderate coalition there is one that we can work with. We have experience working with many of them. They have been, to some degree, outgunned and outmanned, and that’s why it’s important for us to work with our friends and allies to support them more effectively. But keep in mind that when you have U.S. forces, other advanced nations going after ISIL and putting them on the defensive and putting them on the run, it’s pretty remarkable what then ground forces can do, even if initially they were on the defensive against ISIL. So that is a developing strategy that we are going to be consulting with our friends, our allies, our regional partners. But the bottom line is, we will do what is necessary in order to make sure that ISIL does not threaten the United States or our friends and partners. One last question. Colleen Nelson, Wall Street Journal. Q Thank you, Mr. President. Some say that Democrats who are facing tough races in November have asked you to delay action on immigration. How have the concerns of other Democrats influenced your thinking? And do you see any downside at this point to delaying until after the election? PRESIDENT OBAMA: I have to tell you that this week I’ve been pretty busy, focused on Ukraine and focused on ISIL and focused on making sure that NATO is boosting its commitments, and following through on what’s necessary to meet 21st century challenges. Jeh Johnson and Eric Holder have begun to provide me some of their proposals and recommendations. I’ll be reviewing them. And my expectation is that fairly soon I’ll be considering what the next steps are. What I’m unequivocal about is that we need immigration reform; that my overriding preference is to see Congress act. We had bipartisan action in the Senate. The House Republicans have sat on it for over a year. That has damaged the economy, it has held America back. It is a mistake. And in the absence of congressional action, I intend to take action to make sure that we’re putting more resources on the border, that we’re upgrading how we process these cases, and that we find a way to encourage legal immigration and give people some path so that they can start paying taxes and pay a fine and learn English and be able to not look over their shoulder but be legal, since they’ve been living here for quite some time. So I suspect that on my flight back this will be part of my reading, taking a look at some of the specifics that we’ve looked at. And I’ll be making an announcement soon. But I want to be very clear: My intention is, in the absence of action by Congress, I’m going to do what I can do within the legal constraints of my office — because it’s the right thing to do for the country. Thank you very much, people of Wales. I had a wonderful time. 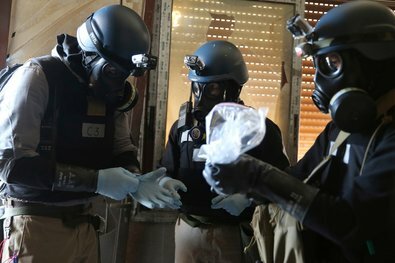 A United Nations team on Thursday with a sample from one of the sites in the Damascus area where a chemical weapons attack is suspected. World leaders reacted to the heightened expectation of an attack, and Ban Ki-moon urged restraint. Three days after an alleged, large-scale chemical-weapons attack in Syria, President Obama spent much of Saturday meeting with his highest-level national-security and intelligence advisers, grappling with what to do if Syria has crossed the “red line” of chemical-weapons use. President Obama acknowledged “wounds that haven’t healed” but mostly praised Northern Ireland on Monday in Belfast. 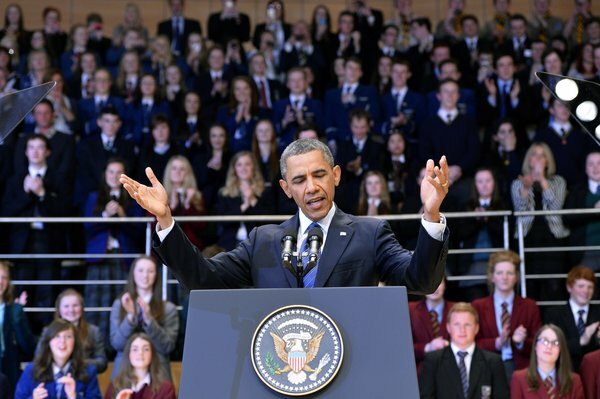 President Obama on Monday opened a three-day diplomatic trip to Northern Ireland and Germany not with other world leaders but with young residents of this once strife-torn city, urging them to build on the peace that America helped broker 15 years ago. MRS. OBAMA: Good morning. (Applause.) Oh, what an honor. Good morning, everyone. First of all, let me thank Hannah for that very bold and wonderful introduction. And of course, I want to thank all of you for being here today. It is such a pleasure to be here in Belfast. And as you might imagine, whenever we travel to places like this or anywhere else in the world, we’ve got a pretty packed schedule. We’re meeting with Presidents and Prime Ministers and First Ladies. We’re visiting historical sites and attending state dinners. And my husband is spending hours trying to make progress on global issues from trade to international security. But wherever we go, no matter what’s on our plate, we always do our best to meet with young people just like all of you. In fact, you all might just very well be some of the most important people that we talk to during our visits, because in just a couple of decades, you will be the ones in charge. Yes, indeed. You’ll be the ones shaping our shared future with your passion and energy and ideas. So when I look around this room, I don’t just see a bunch of teenagers. I see the people who will be moving our world forward in the years ahead. And that’s why we wanted to be here today. Let me tell you, when I was your age, I never dreamed that I’d be standing here as First Lady of the United States. And I know that my husband never thought he’d be President, either. Neither of us grew up with much money. Neither of my parents went to university. Barack’s father left his family when Barack was just two years old. He was raised by a single mom. And all along the way, there were plenty of people who doubted that kids like us had what it took to succeed — people who told us not to hope for too much or set our sights too high. But Barack and I refused to let other people define us. Instead, we held tight to those values we were raised with — things like honesty, hard work, a commitment to our education. We did our best to be open to others; to give everyone we met a fair shake, no matter who they were or where they came from. And we soon realized that the more we lived by those values, the more we’d see them from other people in return. We saw that when we reached out and listened to somebody else’s perspective, that person was more likely to listen to us. If we treated a classmate with respect, they’d treat us well in return. And that’s sort of how we became who we are today. That’s how we learned what leadership really means. It’s about stepping outside of your comfort zone to explore new ideas. It’s about rising above old divisions. It’s about treating people the way you want to be treated in return. And as young people, you all are in a very powerful position to make some of those same choices yourselves. You have the freedom of an open mind. You have a fresh perspective that can help you find solutions to age-old problems. And with today’s technology, you can connect with other young people from all over Northern Ireland and all around the world. So right now, you’ve got a choice to make. You’ve got to decide how you’re going to use those advantages and opportunities to build the lives you dream of. Because that decision will determine not only the kinds of people you’ll become, but also the kinds of communities you’ll live in, the kind of world we’ll all share together. And standing here with all of you today, I have never felt more optimistic, let me tell you. Because time and again, I have seen young people like all of you choosing to work together, choosing to lift each other up, choosing to leave behind the conflicts and prejudices of the past and create a bright future for us all. That’s what’s so powerful about your generation. And again, that’s why we’re here today — because we want you to know that we believe in each and every one of you. That is exactly why we’re here. We believe that you all have the ability to make a mark on this world that will last for generations to come. We are so proud of you. We expect great things. PRESIDENT OBAMA: Thank you! Thank you so much. (Applause.) Thank you very much. Please be seated. Well, hello, Belfast! (Applause.) Hello, Northern Ireland! (Applause.) You now know why it’s so difficult to speak after Michelle — she’s better than me. (Laughter.) But on behalf of both of us, thank you so much for this extraordinarily warm welcome. And I want to thank Hannah for introducing my wife. We had a chance to speak with Hannah backstage and she’s an extraordinary young woman, who I know is going to do even greater things in years to come. As our daughters pointed out as we were driving in, I cause a big fuss wherever I go. (Laughter.) So traffic and barricades and police officers, and it’s all a big production, a lot of people are involved — and I’m very, very grateful for accommodating us. So it was a magical visit. But the only problem was it was far too short. A volcano in Iceland forced us to leave before we could even spend the night. So we’ve been eager for a chance to return to the Emerald Isle ever since — and this time, we brought our daughters, too. In particular, we wanted to come here, to Northern Ireland, a place of remarkable beauty and extraordinary history; part of an island with which tens of millions of Americans share an eternal relationship. America’s story, in part, began right outside the doors of this gleaming hall. Three hundred and twenty-five years ago, a ship set sail from the River Lagan for the Chesapeake Bay, filled with men and women who dreamed of building a new life in a new land. They, followed by hundreds of thousands more, helped America write those early chapters. They helped us win our independence. They helped us draft our Constitution. Soon after, America returned to Belfast, opening one of our very first consulates here in 1796, when George Washington was still President. Today, names familiar to many of you are etched on schools and courthouses and solemn memorials of war across the United States — names like Wilson and Kelly, Campbell and O’Neill. So many of the qualities that we Americans hold dear we imported from this land — perseverance, faith, an unbending belief that we make our own destiny, and an unshakable dream that if we work hard and we live responsibly, something better lies just around the bend. So our histories are bound by blood and belief, by culture and by commerce. And our futures are equally, inextricably linked. And that’s why I’ve come to Belfast today — to talk about the future we can build together. Your generation, a young generation, has come of age in a world with fewer walls. You’ve been educated in an era of instant information. You’ve been tempered by some very difficult times around the globe. And as I travel, what I’ve seen of young people like you — around the world, they show me these currents have conspired to make you a generation possessed by both a clear-eyed realism, but also an optimistic idealism; a generation keenly aware of the world as it is, but eager to forge the world as it should be. And when it comes to the future we share, that fills me with hope. Young people fill me with hope. Here, in Northern Ireland, this generation has known even more rapid change than many young people have seen around the world. And while you have unique challenges of your own, you also have unique reasons to be hopeful. For you are the first generation in this land to inherit more than just the hardened attitudes and the bitter prejudices of the past. You’re an inheritor of a just and hard-earned peace. You now live in a thoroughly modern Northern Ireland. None of that would have been imaginable a generation ago. And Belfast is a different city. Once-abandoned factories are rebuilt. Former industrial sites are reborn. Visitors come from all over to see an exhibit at the MAC, a play at the Lyric, a concert here at Waterfront Hall. Families crowd into pubs in the Cathedral Quarter to hear “trad.” Students lounge at cafés, asking each other, “What’s the craic?” (Laughter and applause.) So to paraphrase Seamus Heaney, it’s the manifestation of sheer, bloody genius. This island is now chic. And these daily moments of life in a bustling city and a changing country, it may seem ordinary to many of you — and that’s what makes it so extraordinary. That’s what your parents and grandparents dreamt for all of you — to travel without the burden of checkpoints, or roadblocks, or seeing soldiers on patrol. To enjoy a sunny day free from the ever-present awareness that violence could blacken it at any moment. To befriend or fall in love with whomever you want. They hoped for a day when the world would think something different when they heard the word “Belfast.” Because of their effort, because of their courage that day has come. Because of their work, those dreams they had for you became the most incredible thing of all — they became a reality. It’s been 15 years now since the Good Friday Agreement; since clenched fists gave way to outstretched hands. The people of this island voted in overwhelming numbers to see beyond the scars of violence and mistrust, and to choose to wage peace. Over the years, other breakthroughs and agreements have followed. That’s extraordinary, because for years, few conflicts in the world seemed more intractable than the one here in Northern Ireland. And when peace was achieved here, it gave the entire world hope. The world rejoiced in your achievement — especially in America. Pubs from Chicago to Boston were scenes of revelry, folks celebrating the hard work of Hume and Trimble and Adams and Paisley, and so many others. In America, you helped us transcend our differences — because if there’s one thing on which Democrats and Republicans in America wholeheartedly agree, it’s that we strongly support a peaceful and prosperous Northern Ireland. But as all of you know all too well, for all the strides that you’ve made, there’s still much work to do. There are still people who haven’t reaped the rewards of peace. There are those who aren’t convinced that the effort is worth it. There are still wounds that haven’t healed, and communities where tensions and mistrust hangs in the air. There are walls that still stand; there are still many miles to go. From the start, no one was naïve enough to believe that peace would be anything but a long journey. Yeats once wrote “Peace comes dropping slow.” But that doesn’t mean our efforts to forge a real and lasting peace should come dropping slow. This work is as urgent now as it has ever been, because there’s more to lose now than there has ever been. In today’s hyper-connected world, what happens here has an impact on lives far from these green shores. If you continue your courageous path toward a permanent peace, and all the social and economic benefits that have come with it, that won’t just be good for you, it will be good for this entire island. It will be good for the United Kingdom. It will be good for Europe. It will be good for the world. We need you to get this right. And what’s more, you set an example for those who seek a peace of their own. Because beyond these shores, right now, in scattered corners of the world, there are people living in the grip of conflict — ethnic conflict, religious conflict, tribal conflicts — and they know something better is out there. And they’re groping to find a way to discover how to move beyond the heavy hand of history, to put aside the violence. They’re studying what you’re doing. And they’re wondering, perhaps if Northern Ireland can achieve peace, we can, too. You’re their blueprint to follow. You’re their proof of what is possible — because hope is contagious. They’re watching to see what you do next. Now, some of that is up to your leaders. As someone who knows firsthand how politics can encourage division and discourage cooperation, I admire the Northern Ireland Executive and the Northern Ireland Assembly all the more for making power-sharing work. That’s not easy to do. It requires compromise, and it requires absorbing some pain from your own side. I applaud them for taking responsibility for law enforcement and for justice, and I commend their effort to “Building a United Community” — important next steps along your transformational journey. Because issues like segregated schools and housing, lack of jobs and opportunity — symbols of history that are a source of pride for some and pain for others — these are not tangential to peace; they’re essential to it. If towns remain divided — if Catholics have their schools and buildings, and Protestants have theirs — if we can’t see ourselves in one another, if fear or resentment are allowed to harden, that encourages division. It discourages cooperation. Ultimately, peace is just not about politics. It’s about attitudes; about a sense of empathy; about breaking down the divisions that we create for ourselves in our own minds and our own hearts that don’t exist in any objective reality, but that we carry with us generation after generation. And I know, because America, we, too, have had to work hard over the decades, slowly, gradually, sometimes painfully, in fits and starts, to keep perfecting our union. A hundred and fifty years ago, we were torn open by a terrible conflict. Our Civil War was far shorter than The Troubles, but it killed hundreds of thousands of our people. And, of course, the legacy of slavery endured for generations. Even a century after we achieved our own peace, we were not fully united. When I was a boy, many cities still had separate drinking fountains and lunch counters and washrooms for blacks and whites. My own parents’ marriage would have been illegal in certain states. And someone who looked like me often had a hard time casting a ballot, much less being on a ballot. But over time, laws changed, and hearts and minds changed, sometimes driven by courageous lawmakers, but more often driven by committed citizens. Politicians oftentimes follow rather than lead. And so, especially young people helped to push and to prod and to protest, and to make common cause with those who did not look like them. And that transformed America — so that Malia and Sasha’s generation, they have different attitudes about differences and race than mine and certainly different from the generation before that. And each successive generation creates a new space for peace and tolerance and justice and fairness. And while we have work to do in many ways, we have surely become more tolerant and more just, more accepting, more willing to see our diversity in America not as something to fear, but as something to welcome because it’s a source of our national strength. So as your leaders step forward to address your challenges through talks by all parties, they’ll need you young people to keep pushing them, to create a space for them, to change attitudes. Because ultimately, whether your communities deal with the past and face the future united together isn’t something you have to wait for somebody else to do –- that’s a choice you have to make right now. It’s within your power to bring about change. Whether you are a good neighbor to someone from the other side of past battles — that’s up to you. Whether you treat them with the dignity and respect they deserve — that’s up to you. Whether you let your kids play with kids who attend a different church -– that’s your decision. Whether you take a stand against violence and hatred, and tell extremists on both sides that no matter how many times they attack the peace, they will not succeed –- that is in your hands. And whether you reach your own outstretched hand across dividing lines, across peace walls, to build trust in a spirit of respect –- that’s up to you. The terms of peace may be negotiated by political leaders, but the fate of peace is up to each of us. This peace in Northern Ireland has been tested over the past 15 years. It’s been tested over the past year. It will be tested again. But remember something that President Clinton said when he spoke here in Belfast just a few weeks after the horrors of Omagh. That bomb, he said, “was not the last bomb of The Troubles; it was the opening shot of a vicious attack on the peace.” And whenever your peace is attacked, you will have to choose whether to respond with the same bravery that you’ve summoned so far, or whether you succumb to the worst instincts. those impulses that kept this great land divided for too long. You’ll have to choose whether to keep going forward, not backwards. And you should know that so long as you are moving forward, America will always stand by you as you do. We will keep working closely with leaders in Stormont, Dublin and Westminster to support your political progress. We’ll keep working to strengthen our economies, including through efforts like the broad economic initiative announced on Friday to unlock new opportunities for growth and investment between our two countries’ businesses –- because jobs and opportunity are essential to peace. Our scientists will keep collaborating with yours in fields like nanotechnology and clean energy and health care that make our lives better and fuel economic growth on both sides of the Atlantic –- because progress is essential to peace. And because knowledge and understanding is essential to peace, we will keep investing in programs that enrich both of us -– programs like the one at Belfast Metropolitan College, which teaches students from West and North Belfast the skills they need for new jobs, and exchange programs that have given thousands in Northern Ireland and the United States the chance to travel to each other’s communities and learn from one another. As someone who got my start as a community organizer, I was so impressed with what Sylvia has done, because a few years ago, Sylvia visited the United States to learn more about how Americans organize to improve their communities. So after she came home, Sylvia rolled up her sleeves here in Belfast and decided to do something about Alexandra Park. Some of you may know this park. For years, it was thought to be the only park in Europe still divided by a wall. Think about that. In all of Europe, that one park has got a wall in the middle of it. Sylvia and her colleagues knew how hard it would be to do anything about a peace wall, but they reached out to the police, they reached out to the Department of Justice. They brought together people from across the communities. They knew it was going to be hard, but they tried anyway. And together, they all decided to build a gate to open that wall. And now, people can walk freely through the park and enjoy the sun — when it comes out –- (laughter) — just like people do every day in parks all around the world. A small bit of progress. But the fact that so far we’ve only got a gate open and the wall is still up means there’s more work to do. And that’s the work of your generation. As long as more walls still stand, we will need more people like Sylvia. We’ll need more of you, young people, who imagine the world as it should be; who knock down walls; who knock down barriers; who imagine something different and have the courage to make it happen. The courage to bring communities together, to make even the small impossibilities a shining example of what is possible. And that, more than anything, will shape what Northern Ireland looks like 15 years from now and beyond. All of you — every single young person here today — possess something the generation before yours did not, and that is an example to follow. When those who took a chance on peace got started, they didn’t have a successful model to emulate. They didn’t know how it would work. But they took a chance. And so far, it has succeeded. And the first steps are the hardest and requires the most courage. The rest, now, is up to you. And that’s what we need from you. That’s what we need from every young person in Northern Ireland, and that’s what we need from every young person around the world. You must remind us of the existence of peace — the possibility of peace. You have to remind us of hope again and again and again. Despite resistance, despite setbacks, despite hardship, despite tragedy, you have to remind us of the future again and again and again. I have confidence you will choose that path; you will embrace that task. And to those who choose the path of peace, I promise you the United States of America will support you every step of the way. We will always be a wind at your back. And as I said when I visited two years ago, I am convinced that this little island that inspires the biggest of things — this little island, its best days are yet ahead. Good luck. God bless you. And God bless all the people of Northern Ireland. (Applause.) Thank you. PRESIDENT OBAMA: Good morning, everybody. Please have a seat. And to all our moms out there, I hope you had a wonderful Mother’s Day. It’s always a great pleasure to welcome my friend and partner, Prime Minister David Cameron. Michelle and I have wonderful memories from when David and Samantha visited us last year. There was a lot of attention about how I took David to March Madness — we went to Ohio. And a year later, we have to confess that David still does not understand basketball — I still do not understand cricket. As we’ve said before, the great alliance between the United States and the United Kingdom is rooted in shared interests and shared values, and it’s indispensable to global security and prosperity. But as we’ve seen again recently, it’s also a partnership of the heart. Here in the United States, we joined our British friends in mourning the passing of Baroness Margaret Thatcher, a great champion of freedom and liberty and of the alliance that we carry on today. And after the bombings in Boston, we Americans were grateful for the support of friends from around the world, particularly those across the Atlantic. At the London Marathon, runners paused in a moment of silence and dedicated their race to Boston. And David will be visiting Boston to pay tribute to the victims and first responders. So, David, I want to thank you and the British people for reminding us that in good times and in bad, our two peoples stand as one. David is here, first and foremost, as he prepares to host the G8 next month. I appreciate him updating me on the agenda as it takes shape, and we discussed how the summit will be another opportunity to sustain the global economic recovery with a focus on growth and creating jobs for our people. Michelle and I are looking forward to visiting Northern Ireland, and I know that the summit is going to be a great success under David’s fine leadership. We discussed the importance of moving ahead with the EU towards negotiations on the Transatlantic Trade and Investment Partnership. Our extensive trade with the U.K. is central to our broader transatlantic economic relationship, which supports more than 13 million jobs. And I want to thank David for his strong support for building on those ties, and I look forward to launching negotiations with the EU in the coming months. I believe we’ve got a real opportunity to cut tariffs, open markets, create jobs, and make all of our economies even more competitive. With regard to global security, we reviewed progress in Afghanistan, where our troops continue to serve with extraordinary courage alongside each other. And I want to commend David for his efforts to encourage greater dialogue between Afghanistan and Pakistan, which is critical to regional security. As planned, Afghan forces will take the lead for security across the country soon — this spring. U.S., British and coalition forces will move into a support role. Our troops will continue to come home, and the war will end by the end of next year, even as we work with our Afghan partners to make sure that Afghanistan is never again a haven for terrorists who would attack our nations. Given our shared commitment to Middle East peace, I updated David on Secretary Kerry’s efforts with Israelis and Palestinians and the importance of moving towards negotiations. And we reaffirmed our support for democratic transitions in the Middle East and North Africa, including the economic reforms that have to go along with political reforms. Of course, we discussed Syria and the appalling violence being inflicted on the Syrian people. Together, we’re going to continue our efforts to increase pressure on the Assad regime, to provide humanitarian aid to the long-suffering Syrian people, to strengthen the moderate opposition, and to prepare for a democratic Syria without Bashar Assad. And that includes bringing together representatives of the regime and the opposition in Geneva in the coming weeks to agree on a transitional body which would allow a transfer of power from Assad to this governing body. Meanwhile, we’ll continue to work to establish the facts around the use of chemical weapons in Syria, and those facts will help guide our next steps. We discussed Iran, where we agreed to keep up the pressure on Tehran for its continued failure to abide by its nuclear obligations. The burden is on Iran to engage constructively with us and our P5-plus-1 partners in order to resolve the world’s concerns about its nuclear program. And, finally, today we’re reaffirming our commitment to global development. Specifically, we’re encouraged by the ambitious reforms underway at the Global Fund to fight AIDS, TB and Malaria, where both of our nations are stepping up our efforts. And David has made it clear that the G8 Summit will be another opportunity to make progress on nutrition and food security. So, David, thank you very much, as always, for your leadership and your partnership. As we prepare for our work in Northern Ireland, as we consider the challenges we face around the world, it’s clear we face a demanding agenda. But if the history of our people show anything, it is that we persevere. As one of those London runners said at the marathon — we’re going to keep running, and we’re going to keep on doing this. And that’s the spirit of confidence and resolve that we will continue to draw upon as we work together to meet these challenges. So, David, thank you very much. And welcome. PRIME MINISTER CAMERON: Thank you very much, Barack. And thank you for the warm welcome. It’s great to be back here with you in the White House. Thank you for what you said about Margaret Thatcher. It was a pleasure to welcome so many Americans to her remarkable funeral in the U.K. I absolutely echo what you said about the appalling outrage in Boston. I look forward to going there to pay my tribute to the people of that remarkable city and their courage, and we will always stand with you in the fight against terrorism. Thank you for the remarks about the cricket and the basketball. I haven’t made much progress — I made a bit of progress on baseball; I actually read a book about it this year, so maybe next time we’ll get to work on that one. It’s good to be back for the first time since the American people returned you to office. And as you said, the relationship between Britain and the United States is a partnership without parallel. Day in, day out across the world, our diplomats and intelligence agencies work together, our soldiers serve together, and our businesses trade with each other. In Afghanistan, our armed forces are together defending the stability that will make us all safer. And in the global economic race, our businesses are doing more than $17 billion of trade across the Atlantic every month of every year. And in a changing world, our nations share a resolve to stand up for democracy, for enterprise and for freedom. We’ve discussed many issues today, as the President has said. Let me highlight three: the economy, the G8, and Syria. Our greatest challenge is to secure a sustainable economic recovery. Each of us has to find the right solutions at home. For all of us, it means dealing with debt, it means restoring stability, getting our economy growing, and together seizing new opportunities to grow our economies. President Obama and I have both championed a free trade deal between the European Union and the United States. And there is a real chance now to get the process launched in time for the G8. So the next five weeks are crucial. To realize the huge benefits this deal could bring will take ambition and political will — that means everything on the table, even the difficult issues, and no exceptions. It’s worth the effort. For Britain alone, an ambitious deal could be worth up to 10 billion pounds a year, boosting industries from car manufacturing to financial services. We discussed the G8 Summit in some detail. When we meet on the shores of Loch Erne in Northern Ireland five weeks from today, I want us to agree ambitious action for economic growth. Open trade is at the heart of this, but we have a broader agenda, too — to make sure everyone shares in the benefits of this greater openness, not just in our advanced economies but in the developing world, too. I’m an unashamedly pro-business politician, but as we open up our economies to get business growing, we need to make sure that all companies pay their taxes properly and enable citizens to hold their governments and businesses to account. Today we’ve agreed to tackle the scourge of tax evasion. We need to know who really owns a company, who profits from it, whether taxes are paid. And we need a new mechanism to track where multinationals make their money and where they pay their taxes so we can stop those that are manipulating the system unfairly. Finally, we discussed the brutal conflict in Syria — 80,000 dead; 5 million people forced from their homes. Syria’s history is being written in the blood of her people, and it is happening on our watch. The world urgently needs to come together to bring the killing to an end. None of us have any interest in seeing more lives lost, in seeing chemical weapons used, or extremist violence spreading even further. So we welcome President Putin’s agreement to join an effort to achieve a political solution. The challenges remain formidable, but we have an urgent window of opportunity before the worst fears are realized. There is no more urgent international task than this. We need to get Syrians to the table to agree a transitional government that can win the consent of all of the Syrian people. But there will be no political progress unless the opposition is able to withstand the onslaught, and put pressure on Assad so he knows there is no military victory. So we will also increase our efforts to support and to shape the moderate opposition. Britain is pushing for more flexibility in the EU arms embargo and we will double nonlethal support to the Syrian opposition in the coming year. Armored vehicles, body armor, and power generators are route to be shipped. We’re helping local councils govern the areas that they liberate, and we’re supporting Lebanon and Jordan to deal with the influx of refugees. We’ll also do more for those in desperate humanitarian need — care for trauma injuries; helping torture victims to recover; getting Syrian families drinking clean water; having access to food, to shelter. There is now, I believe, common ground between the U.S., U.K., Russia, and many others that whatever our differences, we have the same aim — a stable, inclusive, and peaceful Syria, free from the scourge of extremism. There is real political will behind this. We now need to get on and do everything we can to make it happen. Barack, thank you once again for your warm welcome and for our talks today. PRESIDENT OBAMA: Thank you. All right, we’ve got time for a couple of questions. We’re going to start with Julie Pace. Q Thank you, Mr. President. I wanted to ask about the IRS and Benghazi. When did you first learn that the IRS was targeting conservative political groups? Do you feel that the IRS has betrayed the public’s trust? And what do you think the repercussions for these actions should be? And on Benghazi, newly public emails show that the White House and the State Department appear to have been more closely involved with the crafting of the talking points on the attack than first acknowledged. Do you think the White House misled the public about its role in shaping the talking points? And do you stand by your administration’s assertions that the talking points were not purposely changed to downplay the prospects of terrorism? And, Prime Minister Cameron, on Syria, if the EU arms embargo that you mentioned is amended or lapses, is it your intention to send the Syrian opposition forces weapons? And are you encouraging President Obama to take the same step? Thank you. PRESIDENT OBAMA: Well, let me take the IRS situation first. I first learned about it from the same news reports that I think most people learned about this. I think it was on Friday. And this is pretty straightforward. If, in fact, IRS personnel engaged in the kind of practices that had been reported on and were intentionally targeting conservative groups, then that’s outrageous and there’s no place for it. And they have to be held fully accountable, because the IRS as an independent agency requires absolute integrity, and people have to have confidence that they’re applying it in a non-partisan way — applying the laws in a non-partisan way. And you should feel that way regardless of party. I don’t care whether you’re a Democrat, independent or a Republican. At some point, there are going to be Republican administrations. At some point, there are going to be Democratic ones. Either way, you don’t want the IRS ever being perceived to be biased and anything less than neutral in terms of how they operate. So this is something that I think people are properly concerned about. The IG is conducting its investigation. And I am not going to comment on their specific findings prematurely, but I can tell you that if you’ve got the IRS operating in anything less than a neutral and non-partisan way, then that is outrageous, it is contrary to our traditions. And people have to be held accountable, and it’s got to be fixed. So we’ll wait and see what exactly all the details and the facts are. But I’ve got no patience with it. I will not tolerate it. And we will make sure that we find out exactly what happened on this. With respect to Benghazi, we’ve now seen this argument that’s been made by some folks primarily up on Capitol Hill for months now. And I’ve just got to say — here’s what we know. Americans died in Benghazi. What we also know is clearly they were not in a position where they were adequately protected. The day after it happened, I acknowledged that this was an act of terrorism. And what I pledged to the American people was that we would find out what happened, we would make sure that it did not happen again, and we would make sure that we held accountable those who had perpetrated this terrible crime. And that’s exactly what we’ve been trying to do. And over the last several months, there was a review board headed by two distinguished Americans — Mike Mullen and Tom Pickering — who investigated every element of this. And what they discovered was some pretty harsh judgments in terms of how we had worked to protect consulates and embassies around the world. They gave us a whole series of recommendations. Those recommendations are being implemented as we speak. The whole issue of talking points, frankly, throughout this process has been a sideshow. What we have been very clear about throughout was that immediately after this event happened we were not clear who exactly had carried it out, how it had occurred, what the motivations were. It happened at the same time as we had seen attacks on U.S. embassies in Cairo as a consequence of this film. And nobody understood exactly what was taking place during the course of those first few days. And the emails that you allude to were provided by us to congressional committees. They reviewed them several months ago, concluded that, in fact, there was nothing afoul in terms of the process that we had used. And suddenly, three days ago, this gets spun up as if there’s something new to the story. There’s no “there” there. Keep in mind, by the way, these so-called talking points that were prepared for Susan Rice five, six days after the event occurred pretty much matched the assessments that I was receiving at that time in my presidential daily briefing. And keep in mind that two to three days after Susan Rice appeared on the Sunday shows, using these talking points, which have been the source of all this controversy, I sent up the head of our National Counterterrorism Center, Matt Olsen, up to Capitol Hill and specifically said it was an act of terrorism and that extremist elements inside of Libya had been involved in it. So if this was some effort on our part to try to downplay what had happened or tamp it down, that would be a pretty odd thing that three days later we end up putting out all the information that, in fact, has now served as the basis for everybody recognizing that this was a terrorist attack and that it may have included elements that were planned by extremists inside of Libya. Who executes some sort of cover-up or effort to tamp things down for three days? So the whole thing defies logic. And the fact that this keeps on getting churned out, frankly, has a lot to do with political motivations. We’ve had folks who have challenged Hillary Clinton’s integrity, Susan Rice’s integrity, Mike Mullen and Tom Pickering’s integrity. It’s a given that mine gets challenged by these same folks. They’ve used it for fundraising. And frankly, if anybody out there wants to actually focus on how we make sure something like this does not happen again, I am happy to get their advice and information and counsel. But the fact of the matter is these four Americans, as I said right when it happened, were people I sent into the field, and I’ve been very clear about taking responsibility for the fact that we were not able to prevent their deaths. And we are doing everything we can to make sure we prevent it, in part because there are still diplomats around the world who are in very dangerous, difficult situations. And we don’t have time to be playing these kinds of political games here in Washington. We should be focused on what are we doing to protect them. And that’s not easy, by the way. And it’s going to require resources and tough judgments and tough calls. And there are a whole bunch of diplomats out there who know that they’re in harm’s way. And there are threat streams that come through every so often, with respect to our embassies and our consulates — and that’s not just us, by the way; the British have to deal with the same thing. And we’ve got a whole bunch of people in the State Department who consistently say, you know what, I’m willing to step up, I’m willing to put myself in harm’s way because I think that this mission is important in terms of serving the United States and advancing our interests around the globe. And so we dishonor them when we turn things like this into a political circus. What happened was tragic. It was carried out by extremists inside of Libya. We are out there trying to hunt down the folks who carried this out, and we are trying to make sure that we fix the system so that it doesn’t happen again. PRIME MINISTER CAMERON: Thank you. On the issue of the opposition in Syria, we have not made the decision to arm opposition groups in Syria. What we’ve done is we have amended the EU arms embargo in order that we can give technical assistance and technical advice. And as I said in my statement, that’s exactly what we’re doing. We’re continuing to examine and look at the EU arms embargo and see whether we need to make further changes to it in order to facilitate our work with the opposition. I do believe that there’s more we can do, alongside technical advice, assistance, help, in order to shape them, in order to work with them. And to those who doubt that approach, I would just argue that, look, if we don’t help the Syrian opposition — who we do recognize as being legitimate, who have signed up to a statement about a future for Syria that is democratic, that respects the rights of minorities — if we don’t work with that part of the opposition, then we shouldn’t be surprised if the extremist elements grow. So I think being engaged with the Syrian opposition is the right approach, and that is an approach I know I share with the President and with other colleagues in the European Union. James Landale from the BBC. Q James Landale, BBC. Prime Minister, you’re talking here today about a new EU-U.S. trade deal, and yet members of your party are now talking about leaving the European Union. What is your message to them and to those pushing for an early referendum? And if there were a referendum tomorrow, how would you vote? And, Mr. President, earlier this year you told David Cameron that you wanted a strong U.K. in a strong EU. How concerned are you that members of David Cameron’s Cabinet are now openly contemplating withdrawal? And on Syria, if I may, a question to both of you: What gives you any confidence that the Russians are going to help you on this? PRIME MINISTER CAMERON: Well, first of all, on the issue of a referendum, look, there’s not going to be a referendum tomorrow. And there’s a very good reason why there’s not going to be a referendum tomorrow — is because it would give the British public I think an entirely false choice between the status quo — which I don’t think is acceptable. I want to see the European Union change. I want to see Britain’s relationship with the European [Union] change and improve. So it would be a false choice between the status quo and leaving. And I don’t think that is the choice the British public want or the British public deserve. Everything I do in this area is guided by a very simple principle, which is what is in the national interest of Britain. Is it in the national interest of Britain to have a transatlantic trade deal that will make our countries more prosperous; that will get people to work; that will help our businesses? Yes, it is. And so we will push for this transatlantic trade deal. Is it in our interests to reform the European Union to make it more open, more competitive, more flexible, and to improve Britain’s place within the European Union? Yes, it is in our national interest. And it’s not only in our national interest, it is achievable, because Europe has to change because the single currency is driving change for that part of the European Union that is in the single currency. And just as they want changes, so I believe Britain is quite entitled to ask for and to get changes in response. And then finally, is it in Britain’s national interest, once we have achieved those changes but before the end of 2017, to consult the British public in a proper, full-on, in/out referendum? Yes, I believe it is. So that’s the approach that we take — everything driven by what is in the British national interest. That is what I’m going to deliver. It’s absolutely right for our country. It has very strong support throughout the country and in the Conservative Party, and that’s exactly what I’m going to do. On the Syrian issue, you asked the question — what are the signs of Russian engagement. Well, I had very good talks with President Putin in Sochi on Friday. And, look, we had a very frank conversation in that we have approached this — and in some extent, still do approach this — in a different way. I have been very vocal in supporting the Syrian opposition and saying that Assad has to go, that he is not legitimate, and I continue to say that. And President Putin has taken a different point of view. But where there is a common interest is that it is in both our interests that at the end of this there is a stable, democratic Syria, that there is a stable neighborhood, and that we don’t encourage the growth of violent extremism. And I think both the Russian President, the American President, and myself — I think we can all see that the current trajectory of how things are going is not actually in anybody’s interest and so it is worth this major diplomatic effort, which we are all together leading this major diplomatic effort to bring the parties to the table to achieve a transition at the top in Syria so that we can make the change that country needs. PRESIDENT OBAMA: With respect to the relationship between the U.K. and the EU, we have a special relationship with the United Kingdom. And we believe that our capacity to partner with a United Kingdom that is active, robust, outward-looking and engaged with the world is hugely important to our own interests as well as the world. And I think the U.K.’s participation in the EU is an expression of its influence and its role in the world, as well as obviously a very important economic partnership. Now, ultimately, the people of the U.K. have to make decisions for themselves. I will say this — that David’s basic point that you probably want to see if you can fix what’s broken in a very important relationship before you break it off makes some sense to me. And I know that David has been very active in seeking some reforms internal to the EU. Those are tough negotiations. You’ve got a lot of countries involved, I recognize that. But so long as we haven’t yet evaluated how successful those reforms will be, I at least would be interested in seeing whether or not those are successful before rendering a final judgment. Again, I want to emphasize these are issues for the people of the United Kingdom to make a decision about, not ours. With respect to Syria, I think David said it very well. If you look objectively, the entire world community has an interest in seeing a Syria that is not engaged in sectarian war, in which the Syrian people are not being slaughtered, that is an island of peace as opposed to potentially an outpost for extremists. That’s not just true for the United States. That’s not just true for Great Britain. That’s not just true for countries like Jordan and Turkey that border Syria, but that’s also true for Russia. And I’m pleased to hear that David had a very constructive conversation with President Putin shortly after the conversation that had taken place between John Kerry and President Putin. I’ve spoken to President Putin several times on this topic. And our basic argument is that as a leader on the world stage, Russia has an interest, as well as an obligation, to try to resolve this issue in a way that can lead to the kind of outcome that we’d all like to see over the long term. And, look, I don’t think it’s any secret that there remains lingering suspicions between Russia and other members of the G8 or the West. It’s been several decades now since Russia transformed itself and the Eastern Bloc transformed itself. But some of those suspicions still exist. And part of what my goal has been, John Kerry’s goal has been — and I know that David’s goal has been — to try to break down some of those suspicions and look objectively at the situation. If, in fact, we can broker a peaceful political transition that leads to Assad’s departure but a state in Syria that is still intact; that accommodates the interests of all the ethnic groups, all the religious groups inside of Syria; and that ends the bloodshed, stabilizes the situation — that’s not just going to be good for us; that will be good for everybody. And we’re going to be very persistent in trying to make that happen. I’m not promising that it’s going to be successful. Frankly, sometimes once sort of the Furies have been unleashed in a situation like we’re seeing in Syria, it’s very hard to put things back together. And there are going to be enormous challenges in getting a credible process going even if Russia is involved, because we still have other countries like Iran and we have non-state actors like Hezbollah that have been actively involved. And frankly, on the other side we’ve got organizations like al Nusra that are essentially affiliated to al Qaeda that have another agenda beyond just getting rid of Assad. So all that makes a combustible mix and it’s going to be challenging, but it’s worth the effort. And what we can tell you is that we’re always more successful in any global effort when we’ve got a strong friend and partner like Great Britain by our side and strong leadership by Prime Minister David Cameron. With the passing of Baroness Margaret Thatcher, the world has lost one of the great champions of freedom and liberty, and America has lost a true friend. As a grocer’s daughter who rose to become Britain’s first female prime minister, she stands as an example to our daughters that there is no glass ceiling that can’t be shattered. As prime minister, she helped restore the confidence and pride that has always been the hallmark of Britain at its best. And as an unapologetic supporter of our transatlantic alliance, she knew that with strength and resolve we could win the Cold War and extend freedom’s promise. Here in America, many of us will never forget her standing shoulder to shoulder with President Reagan, reminding the world that we are not simply carried along by the currents of history—we can shape them with moral conviction, unyielding courage and iron will. Michelle and I send our thoughts to the Thatcher family and all the British people as we carry on the work to which she dedicated her life—free peoples standing together, determined to write our own destiny. Today, President Obama held a bilateral meeting with Irish Prime Minister Enda Kenny at the White House before the two leaders traveled to the Capitol for a St. Patrick’s Day Luncheon. PRESIDENT OBAMA: Well, it is a great pleasure to welcome back Taoiseach Kenny to the Oval Office, to the White House and his entire delegation. Obviously, we cherish this opportunity once a year to reaffirm the incredible bond between the United States and Ireland. This year, it also gives us an excuse to stretch out St. Patrick’s Day for a couple of extra days, which is always good. This is now my fifth time to welcome the Taoiseach to the Oval Office. I’ve had the occasion to visit Ireland as well — one of the truly wonderful trips that I’ve taken as President of the United States. And the reason that these meetings go so well is because of the incredible bond and history between our two countries. Obviously, the contributions of Irish Americans to the United States is legendary. But what is also true is that we have an incredibly strong partnership on economic issues, on security issues. The Taoiseach has shown great leadership during difficult times in Ireland. And we’re seeing progress in the Irish economy. That’s good for the U.S. economy because we have a lot of trade, a lot of investment in Ireland. There was a story this morning about a deal between Ryanair and Boeing in which we’ll be selling a whole lot of airplanes to Ireland. And it’s an example of how the progress that’s made in Ireland benefits jobs and businesses here in the United States. Obviously, the Taoiseach is very interested, as well as in continuing to attract direct investment from the United States to Ireland. So this will be a major topic of discussion. Ireland also punches above its weight internationally when it comes to humanitarian assistance, peacekeeping. Irish troops are in many very difficult places in the world and provide the kinds of stabilization and humanitarian efforts that make all the difference and save lives. And so I am very much looking forward to having a good conversation. I’m sure we will also touch on the issue of Northern Ireland in which we have continued to see progress coming out of the Good Friday agreements, but we also have to recognize that there’s a lot more work to be done before there’s true unity of effort in that country. And I know that both in discussions with the Taoiseach as well as in talking to the ministers who are here from Northern Ireland, we’ll have an opportunity to find out how the United States can be helpful in that overall effort as well. So, again, Taoiseach, I want to welcome you. Thank you for giving me an excuse to break out my green tie. (Laughter.) And I’m sure that we’ll have a wonderful lunch up on Capitol Hill and once again be able to reaffirm the incredible friendship between our peoples. PRIME MINISTER KENNY: Thank you, Mr. President. Could I to say that it’s a particular privilege to be able to come here to the White House to visit President Obama to continue this wonderful tradition that the American government over the years has shown to Ireland because of the particular and unique relationship between our countries covering many centuries. But I would like to say seriously, it’s an opportunity for me to brief the President on the progress being made in challenging times for the Irish government, following a very clear and strategic plan. It’s also an opportunity to brief the President on issues of the European Union and the progress being made by the European Council, with particular reference to the EU-U.S. trade — participation and free trade, to which the President referred in his State of the Union address. I’d like to follow that through with him. Also, to brief the President on opportunities in respect of Northern Ireland, immigration — undocumented Irish — and, of course, the general perspectives both for the world economy. And as the President is moving to the Middle East this evening, I can give him an update on the recent meeting and discussion that the European Council held there. Besides, it’s a real opportunity to celebrate St. Patrick’s Week. I have a second tie for the President, if he so wishes. And, of course, there is a standing open invitation to President Obama to come back to Ireland whenever is convenient and appropriate and when he so wishes. And maybe the next time, when our economies are moving in a more positive direction, we might actually have time to take out the sticks on the golf course. I’m looking forward to that sometime in the future. So to First Lady Michelle, the children, Malia and Sasha, we wish the President continued success and good fortune in the very onerous responsibilities that he lay up on his shoulders as the leader of the free world. And it’s a pleasure and a privilege to be in the Oval Office.